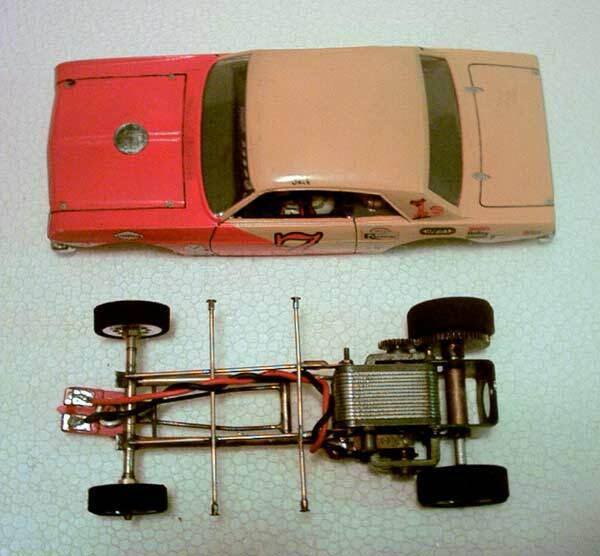 Jack Beers sends these pictures of his Pittman-powered 1965 Ford Falcon. Will that big motor fit under a Falcon? No back seat drivers in Jack's car! Thanks again! The picture is of an ebay purchase. The car was originally a real load - I bought it for the motor. 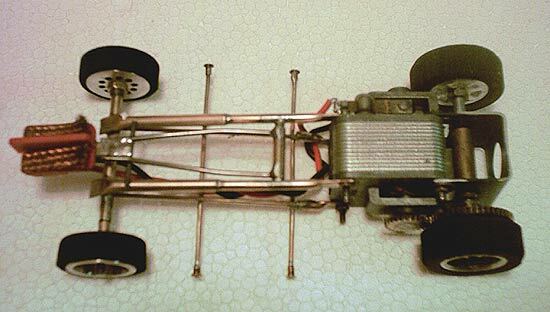 It's hard to describe what it looked like originally - suffice to say that the only parts I could salvage for this rebuild were the front axle tube and part of the lower main frame rails - that's why there's a "telescoping" section in them. The motor is a Pittman 85- 6V model. The rear motor bracket came with the car, but I don't recognize the make. 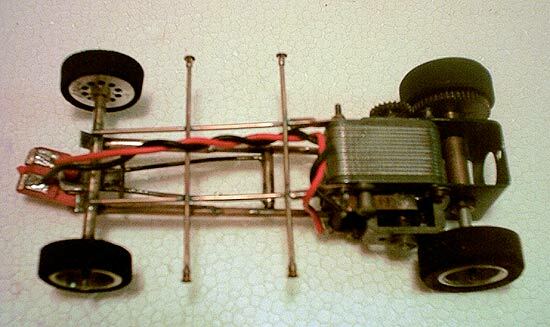 The frame forward of the motor is scratchbuilt; rear wheels are very large silicones. The car runs amazingly well for being as heavy as it is. You should hear it rrrrrrrrrumble around a modern track! The body is an old AMT '65 Ford Falcon modified car; interior is modern Parma.